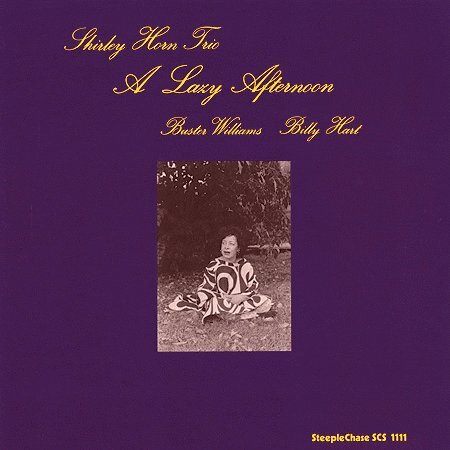 2005 EU reissue on 180g LP - A Lazy Afternoon is a fine studio set with bassist Buster Williams and drummer Billy Hart. An always effective vocalist who provided her own top-notch accompaniment on piano, Horn's almost conversational style of singing works very well whether she is swinging an oldie like "I'm Old Fashioned" or delivering a lush, infectious interpretation of a ballad like "A Lazy Afternoon." In addition to well-known material, she uncovers lost gems like Gordon Jenkins' "New York's My Home" (delivered in a narrative-like style that has a funky flavor) and Peggy Lee's neglected swinging song "Take a Little Time to Smile." The one instrumental is an extended workout of Antonio Carlos Jobim's "Gentle Rain." If there's a weak track on the date, it is Bill Withers' "Gra'ma's Hands," as even her best effort at casting it in a slow blues-gospel arrangement doesn't overcome the repetitious nature of the composition, a frequent problem with adapting Withers' work into a jazz setting. 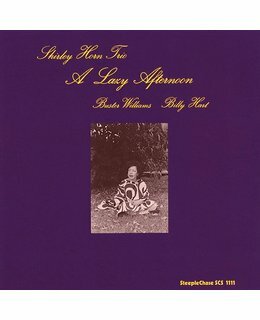 Lazy Afternoon is a perfect song for her sensual dreamy and quietly dramatic Apparently this very album was the first after 10 years of norecording AND in fact her recording debut as a selfaccompanying singer as we know her all now.